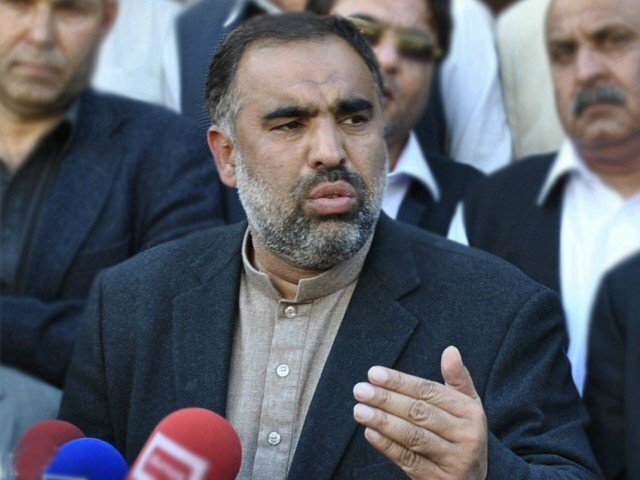 ISLAMABAD: Speaker National Assembly AsadQaiser had written a letter to his counterparts in 178 Parliaments all over the world, inviting their attention towards the deteriorating situation in South Asia and the recent aggressive acts of India. In his letter, the Speaker had apprised about the continued violation of Pakistan’s sovereignty and territorial integrity by India, which had brought the region to the brink of war and devastation. “In the early hours of February 26, 2019, the Indian aircrafts violated Pakistan’s airspace on a pretext of attacking an alleged terrorist camp. Indian planes were effectively intercepted by Pakistani Air Force Jets and forced to withdraw while randomly releasing their ordnance that landed in Pakistan’s uninhabited remote area,” he added. The Speaker said India had also continued unprovoked ceasefire violations at the Line of Control in the disputed territory of Jammu and Kashmir, resulting in deaths of several innocent civilians. He said in captivity, the Indian pilot was treated with dignity and in line with international laws. Prime Minister of Pakistan Imran Khan announced his return as a goodwill gesture aimed at de-escalating rising tensions with India, he added. The Speaker said this noble gesture clearly established that Pakistan had no intention of escalation, but as a self-respecting nation was prepared to do so if forced into that paradigm. For the last few years, India had been trying to establish what they call “a new normal” — a thinly veiled term for doing acts of aggression at whatever pretext they wish on a given day. If India was striking at so called terrorist backers without a shred of evidence, Pakistan also retained reciprocal rights to retaliate against elements that enjoy Indian patronage while carrying out acts of terror in Pakistan, he added. Asad stated that Pakistan did not wish to go to that route and desired that India would give peace a chance and resolve issues through dialogue as a mature democratic nation. The deteriorating situation between Pakistan and India could only be normalized by amicably resolving the issue of Jammu and Kashmir. Otherwise, peace in the region would remain an elusive dawn. Pakistan had also offered India numerous times talks on Kashmir with the view to amicably resolve this longstanding dispute between the two countries, he added. He said Prime Minister Imran Khan offered peace and dialogue soon after his election and took a great leap forward by opening the “Kartarpur Corridor” between the two countries, enabling the Indian citizens to freely visit their sacred places of worship, situated on Pakistan’s side of border. India, however, had not any inclination and was making every effort to divert the international community’s attention to hide its cruelties in Indian Occupied Kashmir. India had also been indulging in the senseless attempt to portray the indigenous Kashmiri movement for self-determination as terrorism. But international community had rejected the Indian claim of equating Kashmiri struggle for self-determination with terrorism. The very scale at which the current movement had spread clearly reflected it being indigenous, he continued. He said in these testing times, the Parliament of Pakistan held a special session on February 28 to March 1, 2019 and took note of the deteriorating situation in South Asia in detail. After a comprehensive debate, it passed a unanimous resolution, calling upon the international community to play its due role in bringing peace to South Asia. It also urged India to end the repression in the Jammu and Kashmir and resolve the issue in accordance with the UN Security Council Resolutions on Kashmir, which allowed Kashmiris to exercise their right of self-determination under a UN supervised plebiscite, as early as possible. “Therefore, on behalf of all members of the National Assembly of Pakistan, I am writing to not only invite your kind attention to the deteriorating situation between Pakistan and India but also seek your esteemed Parliament’s condemnation on the Indian violations of Pakistan’s sovereignty and territorial integrity,” he concluded. The Speaker has sent the copies of the resolution passed by the Pakistani Parliament to the 178 Parliaments.